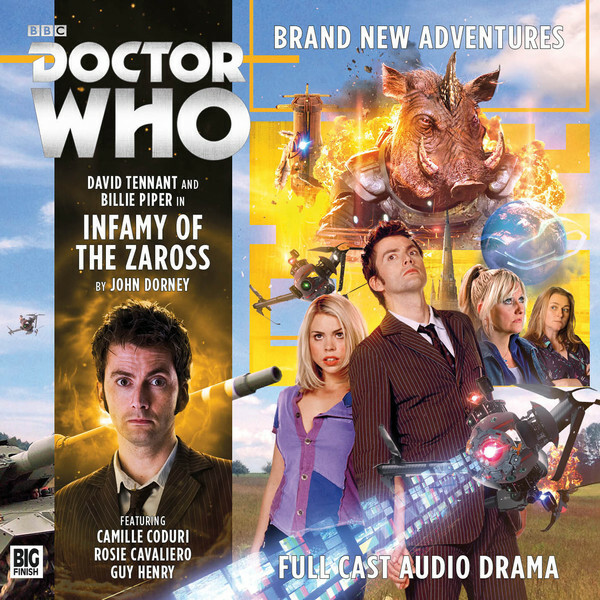 David Tennant returns to the role of the Tenth Doctor while Billie Piper makes her Big Finish debut as Rose. Joining them are Camille Coduri as Rose’s mum Jackie and Rosie Cavaliero (Wizards vs Aliens) as Jackie’s friend Marge. The last thing Jackie expected when paying a visit to an old friend was an alien invasion of Norwich. Calling on the Doctor and Rose, the three of them soon discover that there is more to this alien incursion than meets the eye... The reunion of the beloved duo of the Tenth Doctor and Rose is a momentous occasion. Penned by one of Big Finish’s finest, John Dorney (The Two Masters, Doom Coalition), this adventure has some great material for the time travellers (and Jackie!) in a script worthy of Russell T Davies himself.